Design a functional and creative package for a quick-serve chain kids’ meal and address how the plans could be altered to serve an additional purpose. That’s what Clemson’s packaging science team started with. 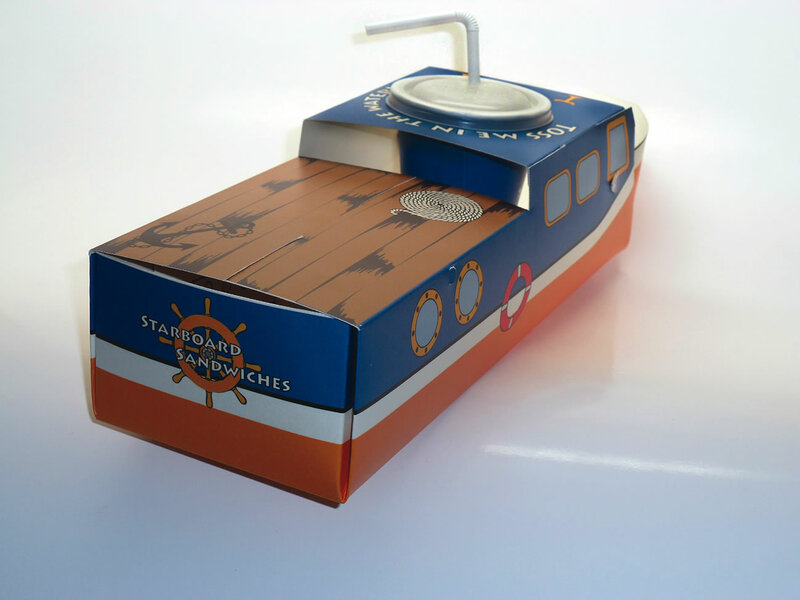 What they ended up with was “Starboard Sandwiches,” a colorful boat-shaped container that holds the drink in the center and the sandwich in the stern. The side of carrots sits on top of the sandwich; condiments, a straw and napkin fit in an opening at the front. A removable insert includes interesting facts and a coloring sheet. Best of all, the boat actually floats. They walked away from the Paperboard Packaging Alliance’s eighth annual Student Design Challenge in Chicago with the third-place prize (and $1,000) for their design and creativity. Professor Andrew Hurley was the adviser for the team. This year, a record number of students from the U.S. and Canada participated in the challenge, with more than 200 students from 13 leading packaging and graphic design programs.